I never really had a clear vision of what kind of mom I wanted to be before having kids. To be honest, I hadn’t really thought much about it. And now, after having kids, I feel like I’m running so much that half the time I just have to be whatever kind of mom I can be in that moment because I don’t have time to put a lot of thought into this method or that approach. Mostly, I just live in the moment and do what my instinct says. The one thing that my husband and I both agreed on from a very early stage was that we wanted to raise our children in a Jewish home. But what a Jewish home truly meant to us was kind of foreign. Neither of us had a clear idea of what it meant to have a “Jewish home” as opposed to a “home.” We knew we wanted to celebrate Jewish holidays and have the occasional Shabbat. We knew we wanted to raise our kids in an environment where they wouldn’t be the only Jews and that they would feel comfortable (and proud) to go to Hebrew school and to Jewish summer camp. But when it comes to being a “Jewish mom,” that’s harder. The truth is, I don’t really know what that means. I’ve spent most of my professional life on the phone with “Jewish moms” whose children are going to Jewish summer camp, talking about their kids, about why their kids are special, about why they’re worried about their kids and about how I can help them soothe their own concerns while at the same time giving their children a healthy separation. But I’ve always struggled with the concept of a “Jewish mom.” What’s the difference between a “Jewish mom” and being a “mom?” People say that “Jewish moms” are the ones who are most concerned and overly involved in their children’s lives, but isn’t that just what being a good mom is? 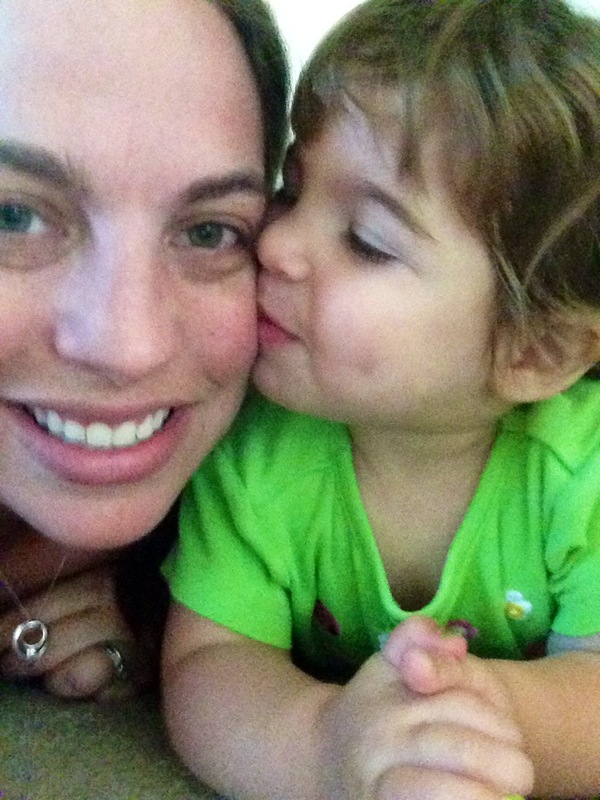 So as a good Jew, I took to being a “Jewish mom” the only way I knew how…with food. Over the past three or so years I’ve become the host of our family’s Jewish holidays including Passover and Rosh Hashanah, sometimes cooking a full meal while, yes, barefoot and pregnant. 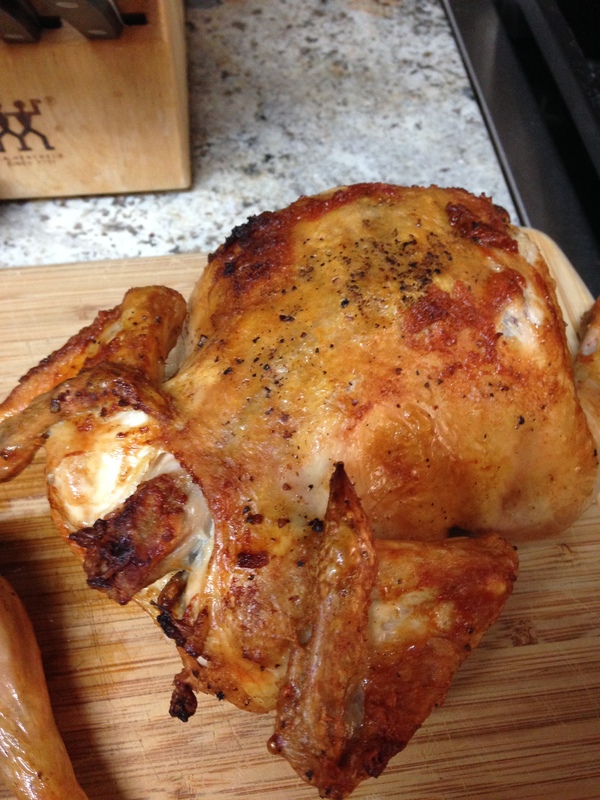 I’ve mastered the art of the kugel (see my earlier blog post) and learned how to roast a mean chicken. I’m able to get my matzoh balls to be firm on the inside and remain fluffy on the outside. I make haroset like nobody’s business (nut-free no less). But as a born and raised vegetarian who only started eating poultry a few years ago, I think my greatest pride and joy in becoming a quintessential “Jewish mom” happened at this year’s Rosh Hashanah dinner when my husband claimed my brisket was my best yet. What an accomplishment! We should absolutely teach our children about Jewish history, culture and traditions. But of all the things that stick and the memories that we make, most usually surround the dinner table. So I will continue to master the Jewish table and continue to refine my brisket so I can call myself a pretty good “Jewish mom.” But, all the rest of it is just about being a mom, and I’d like to think I’m pretty good at that, too. Well , you certainly didn’t learn to make brisket from your mother- but your mother wanted to part her “Jewish-ness” to you in terms of family, spirit, togetherness and a sense of culture- brought to you in the form of a loving community- which has occurred – camp was truly your synagogue- non-traditional but definitely Jewish. And on top of it all- you turned out to be a great cook- besides brisket! Must have been from all those years of inventive cooking/baking. You’re right, mama! But brisket does not define being Jewish or being a good mom, and you are certainly excellent at both of those things! My sister in-law is an amazing cook and a great mom!